Smart trainers aren't nearly as expensive or as intimidating as they used to be. It's fun to see the cycling industry catching up with technology. Indoor training used to be something I dreaded, but with the added interactive features smart trainers offer, indoor training isn't only tolerable, it's fun! With quality smart trainers starting out just over $400, it's easier to jump into the game. I've been using my trainer with a sweet training program called Zwift. 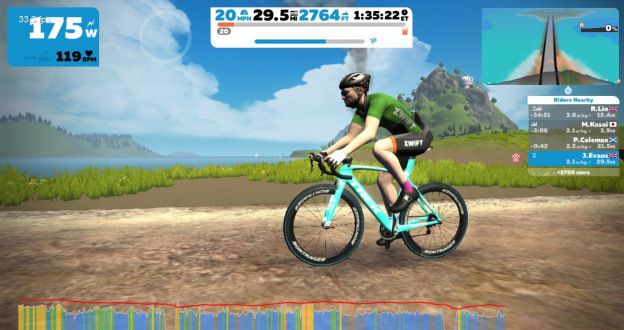 Zwift is kind of like a video game you control with your bike. You pick a ride or a workout, then the program tells your trainer what to do. You can train solo or with friends; you can race; you can group ride; you can work out to custom plans. There are a lot of options, and they're all excellent at pushing you not only physically but mentally. If you're interested, we'd like to help get you started. Our Spin Lab includes Zwift training in a group setting. We have a cycling coach on hand in every class to help you along the way. If you sign up before Jan 1, you can get $50 off. If you'd rather spin at home, we're offering a FREE 3 month subscription to Zwift with the purchase of any smart trainer before Christmas. Come in and check them out. We have them set up in the Lab, so you can even set up a bike and try before you buy. Mountain biking is an amazing sport because it combines the enduring thrill of cycling with the beauty and harshness of natural landscapes and terrain. There are many breathtaking trails all over the world, which is why more and more people decide to take up this activity. If you’ve decided to do so as well, you need to remember that you also need to prepare for the experience thoroughly and consider all the variables that are involved. Here are the do’s and don’ts you need to consider before going on your first mountain bike ride. At the end of the day, mountain biking is an extreme sport of sorts, even when it isn’t performed at a professional level. Therefore, when you’re out on the trail for the first time, there are two main positions that you will need to alternate between so that your ride is a successful one, namely the neutral position and the ready position. The former is best used on non-technical segments of the path so that you roll along smoothly and comfortably. To achieve it, slightly bend your knees and elbows, keep your eyes straight ahead and always have your index fingers on the brake. This not only ensures that you stay safe, but it also facilitates the transition for more difficult portions of terrain. The latter intervenes in such situations. To quickly switch to it, bend your knees and elbows more, lift your rear off the seat and shift your hips back for added balance. Ensure that your back is flat, keeping it almost parallel to the ground below. The rest stays the same. Always look in the direction you want to follow to keep course and be ready to hit the brakes anytime. As any good gear guide will tell you, the most important thing to have on hand for your first ride is a reliable mountain bike that will provide you with safety, comfort, and performance at the same time. For beginners, the best choice is an aluminum-frame one because it is more malleable and lighter on its wheels. 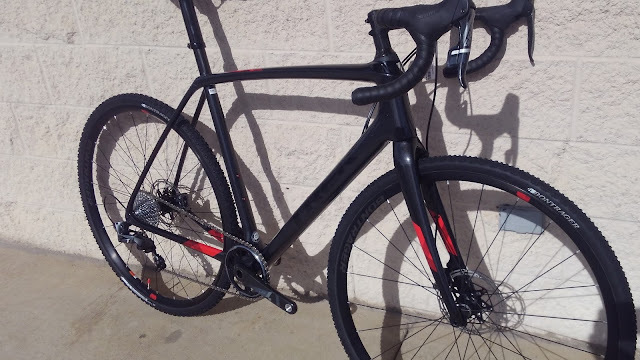 For a heftier frame lover, steel is always the classic choice. But if you’re willing to invest in something a bit more high-end and modern, carbon frames are all the rage now. They provide amazing durability combining the sturdiness of steel with the lightness of aluminum. The price will be one to match, but you will see visible results right off the bat. However, not everyone will want to go out and buy a bicycle for their first ride, and that’s perfectly understandable. If you’re just testing the sport out and don’t want to invest in one just yet, using a bike rental service is also an option to consider. After all, proper safety equipment is equally important, so you might want to save some money for that as well. And speaking of which, forgetting or refusing to wear a helmet is a potentially fatal mountain biking mistake that many beginners tend to commit. Although it might seem like an extra weight that you have to carry, your helmet is essential on your first ride because they will safeguard you in the face of any potential accidents. An aspect that is seldom discussed in the community is that of proper trail etiquette. Although there are plenty of areas that can be approached via MTB only and few dare to do so, if you’re a beginner, chances are you are going to share the road with hikers, horses, and other fellow riders, of course. When you encounter another person or an animal along the way, you need to follow a certain set of rules so that everything unfolds smoothly. First of all, horses always have priority because they are unpredictable. If you come across one, let it carry on unbothered and then you can also proceed. When it comes to other hikers or riders, things are bit more complex. Remember that you have more mobility on your bike, which means that you should yield the way to those who are on foot if the need for it arises. Even though most hikers will be the ones to yield once they see you coming at a great speed, you should never expect them to do so. Always be prepared to clear the path for them before you continue your journey. Finally, both hikers and riders who are going uphill have the right of way. It is harder to travel in this direction, and you need to keep this in mind no matter in what position you are in. However, not everyone sticks to the etiquette, so ensure that you are responsible enough to prevent an accident. Always practice caution above all else. The most common mistake beginner mountain bikers make is not bringing enough food and water out of a desire to travel light. While this might be done with the right idea in mind, giving up on necessary nutrients and hydration is not the way to go. You should always have at least one bottle of water on hand, and one containing your electrolyte sports drink of choice. As for on the go snacks, energy bars are the best choice. And if you’re looking for some variety, a small bag of trail mix is the perfect nutrient boost. As for all the sandwich lovers out there, the classic peanut butter and jelly is an ideal bring-along that is both tasty and energizing. Mix and match between these for the perfect MTB lunch. When you’re out on a trail for the entire trail, coordinating your choice of clothing with the weather and terrain conditions you are going to face is essential. And even if the forecast is an optimistic one, things can go south all the time, especially if you live in an area characterized by unpredictable storms. Thus, layering is your best friend if you want to ensure that you are always warm and dry. Remember, it’s better to have something to take off when you get hot than nothing to put on when it’s cold. And seeing as how most trails will have you pass through varying altitude levels, this means that temperatures might vary a lot along the same stretch of road. Unfortunately, many beginner riders learn how inconvenient not bringing a portable repair kit can be the hard way, a.k.a. being left stranded on a remote trail for a couple of hours with a flat tire or something of the sort. For this reason, having a few tools and maybe even a spare on hand is a true life-saver. The simplest array of items can help get you back on track in no time. All you need to carry with you is a multi-tool, tube, tire lever, and a pump. While this isn't a complete list, it will at least get you home where you can then bring your bike in for some professional service. Don’t ruin your first ride by not being able to get home. 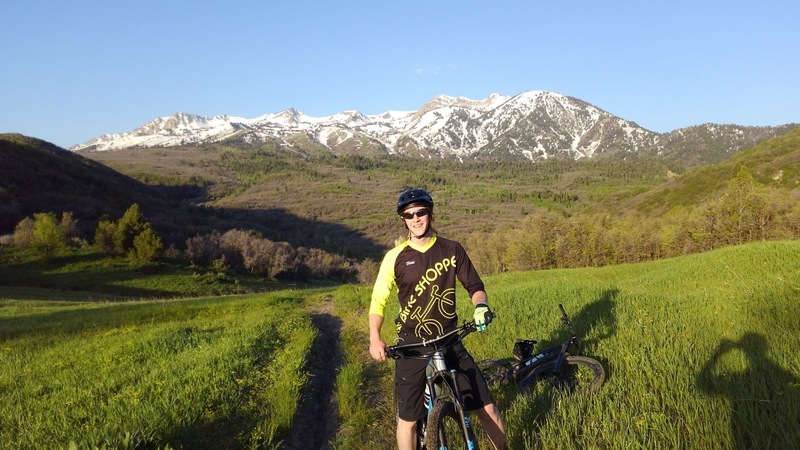 Being a beginner mountain bike rider is going to be a challenge, but the results will be worth it if you prepare for the experience accordingly. Invest in a reliable MTB and remember to use it correctly. Bring enough food and water to last you through the trip, wear your helmet and dress appropriately for the terrain and weather conditions outside. Have fun! Author Bio: Amanda Wilks is a writer, contributing author for Mountain Bike Reviewed and veteran MTB rider. Her passion for mountain biking dates back to her childhood, when she would join her dad every weekend for a quick ride uphill. She is now addicted to the sport and she never misses a trail. Learn more about Amanda on Twitter. We drove on FR064 all the way to the trail head. After entering the pines, the road starts to get pretty rough. It's definitely drive-able, but you should have an off-road capable vehicle with some clearance to get there. A Subaru outback wouldn't cut it. You could definitely park at the pines and hike or ride in the last few miles to the trailhead. The Trek 1120 was amazing! What a fun ride! I'm 5'9" tall with goofy long legs and arms. I usually ride an 18.5" Fuel EX. This model isn't offered in an 18.5", so instead of going smaller I decided to go a bit bigger. Bigger makes sense: more comfort with a higher front end and a bit more stability with the longer wheelbase. I test rode the 17.5" before making my decision, and I felt like my weight was too far extended over the handlebar. The 1120 comes stock with a front and rear rack installed. The front rack securely cradles my 20L drybag. With only two nylon straps, I was able to firmly secure the bag to where there was no shifting or readjusting. The rear rack secured my other 20L bag just as easily. The rear rack further includes two harnesses that will secure 10L bags to either side of the rear wheel. the drybags slide in nicely, and with only a little effort, everything can be adjusted so there is no unwanted movement. Everything stayed snug and secure for the duration of the trip with exception of one bolt that worked itself loose on the rear rack (nothing a little Loctite won't fix). I only made a few minor modifications to the stock bike: I ended up swapping out the Chupacabra tires for some Maxxis Chronicles. They offer a little more volume for the size (29X2.8), and they look really good. I also installed a wider Bontrager Line Pro handlebar and a shorter Bontrager Line Pro stem. I made this switch because I like the feel of a mountain bike cockpit for comfort and handling. I was really happy with the results on the ride. The ride in was slow, but really pretty and actually quite fun. I'm used to hiking these same trails, so I've gotten used to the amount of time it takes to span certain distances. The bike definitely makes light work of the straightaways and meadows. There were plenty of challenging areas too. Of course, I like technical riding, so this was right up my alley; however, if you're not into the techy rough stuff, you may want to avoid this adventure. Because we're single-track climbing over 10,000 feet, the challenges were plentiful, and the dead fall crossings were frequent. There were only a few hike-a-bike sections though, and everything was ride-able on the descent which made getting out a breeze. We ran out of light and set up camp at 3.5 miles in. There are plenty of nice areas to find a soft spot to pitch a tent and to make a small fire pit. We set up about 100 yards off the trail nearest the river for easy access to water. The next morning we left our camp set up and took the bikes (now much lighter) up toward our goal of Bob's Lake (Tokewanna Peak was under a bit too much snow). We had fun exploring the several cabin remains from 1920 loggers that line the trail. We were able to ride the bikes another four miles and finally ditched them to hike the rest. 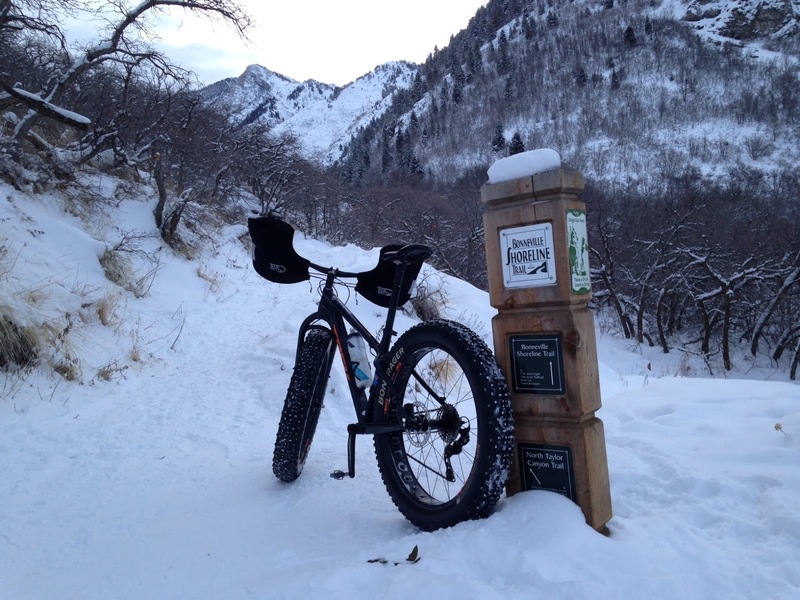 There was too much snow for the bikes, and the trail was getting tough to follow. The hike was easy enough so long as we kept the river within ear-shot. The toughest section of trail with the most elevation gain was the last 1.5 miles to the lake. Bob's lake sits in a bowl just northwest of Tokewanna Peak near 11,500'. Other than the wind, the temperature was really nice. We were able to comfortably cook up a lunch of Raman Noodles and hot cocoa. Scrumdidliumpcious. This area promises to be a perfect location for September camping. Had we planned this just one month earlier, we could've summited Tokewanna (13,165'). If you like to get away from groups of people, and if you don't shy away from technical climbs, this trail is definitley worthy of your time. Have a happy adventure! Do you have a lonely, neglected bike gathering dust sitting in your garage? Why not put it to good use by giving it to someone who could really use it? 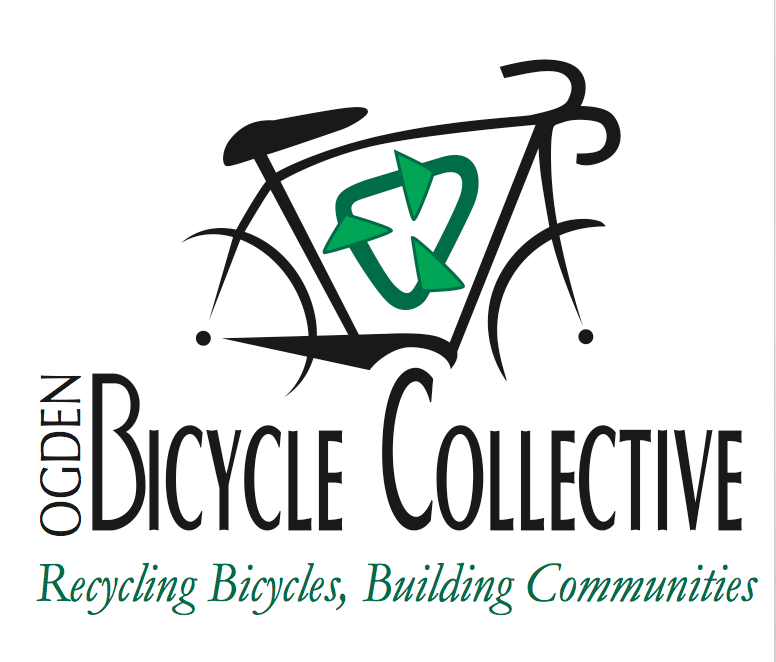 The Bike Shoppe is teaming up with the Ogden Bicycle Collective to gather, refurbish, and donate used bikes to people in need. All donated bikes will be thoroughly inspected and tuned before being carefully placed with a qualified individual in need. 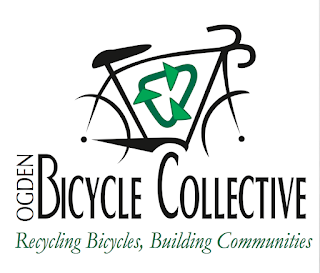 If you don't have a bike but would still like to help, we're also collecting non-perishable food items to donate to The Lantern House in Ogden. Please help us out. It's the little things that make the biggest difference. Donations can be dropped off at The Bike Shoppe during business hours now thru Monday, January 16. Monday we will extend our hours to 7:00pm. Saturday morning I decided to get up early and take the fatbike up on the BST. I started at Rainbow Gardens and headed south toward Malans. As I was pedaling up the trail, I started thinking about all the awesome gear I had that made fatbiking not only possible, but actually enjoyable. I think snow conditions are best when it's really cold...anything under 10 degrees seems just right. When you're out exploring in sub-zero temps, it's pretty important to be prepared. I didn't start out with everything...I used what I had, and I had fun. But I've gradually begun adding to my cold-weather collection, and with each addition, I've really been able to appreciate the differences between regular snow gear and cycling-specific gear. It took me two seasons of miserable glove swapping to finally bite the bullet and buy some pogies. 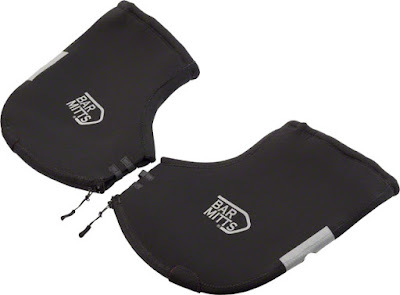 I decided to go with Bar Mitts brand Extreme Mountain, and so far, I'm super happy I did. I used to always pack two pairs of gloves on every ride: one for the way up, and one for the way down. Going up my hands get sweaty, the gloves get wet, then they'll freeze solid on descent. My hands get cold easily, so putting on a cold pair of gloves mid-ride right before a big descent always left my hands cold and numb on the way down. The Bar Mitts are honestly the perfect solution. I can wear a lighter winter glove that still allows a comfortable amount of dexterity without my hands ever getting sweaty or cold. They're a simple, install-in-minutes design made out of tough neoprene. 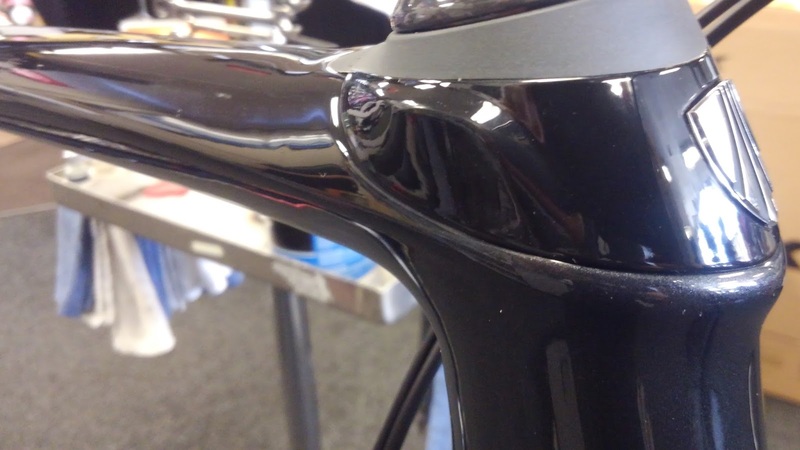 The Extreme Mountain version installs with handlebar plugs that tighten with a 4mm allen key. I'm a big fan of the plugs as they keep the mitts more securely anchored to the bar. The mitts have vents on the side and a removable top skirt that hugs your wrists to control the temperature. If you start getting sweaty, open them up and allow some air flow. When you're cold, close them off and they warm up quick. Another unexpected benefit is the improved braking and shifting performance when I'm using pogies. If you're like me and like to get out when it's really frigid, you'll know that brakes and shifters stop functioning properly once they get too cold. Pogies completely cover your hands, shifters, and brake levers keeping everything at a higher temperature. It may seem like a stretch, but I've not had a single issue since I made the switch. If you're out there suffering along without pogies, please stop by and grab pair. I promise, you'll be happy you did.